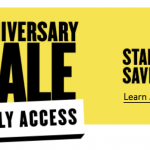 Public Access for the Nordstrom Anniversary begins TODAY! There are sooo many great deals. 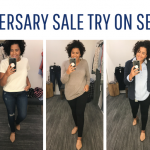 I’ve mentioned before that I love this sale so much because it’s such a great opportunity to stock the closet with fall/winter pieces at a major discount. I’m not one to buy a lot of trendy pieces. I typically buy mostly basics and mix in one or two on-trend seasonal items into my wardrobe. That’s exactly how I shopped the #nsale. I tried on a bunch of pieces, ordered even more online, but these were my favorites of all of the items purchased and most of them are under $50! You can see my in-store try on session here. 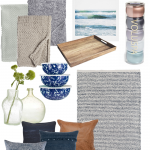 And more Nordstrom Anniversary Sale favorites here. Utility Jacket | I love a good utility jacket and this one is really darling. It can fit a little boxy but I like that look. I grabbed a small. It will be darling with jeans and booties this fall. Blue Pullover Shirt | Another great basic, I love this pullover shirt because I’ll be able to style it so many ways. With jeans, with leggings, with the knit blazer over top, with a sweater over top. Tons of possibilities out of this one little shirt. It’s really affordable and an overall flattering piece. Basic Tee | For $12, this is a no-brainer. I got this tee in three colors. They fit true to size, you could size up one if you’d like an oversized fit that you can front knot. I got a small in this one. When I say stock up on basics, this is exactly what I mean. Grabbing some of those closet staples during this sale is a smart idea! Knit Blazer | I’ve been going on about this knit blazer for a few days now over on Instagram, I just love it. For under $40 it’s a great alternative to a cardigan. You could easily dress it up or down and it comes in a bunch of colors. 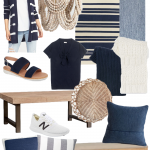 Of course, I got the navy blue and can’t wait to wear it over and over this fall. Studded Mules | Under $50 for adorable mules – sold. These come in several colors including a black. The mustard color is a fun flare for fall. They’ll be great to wear with jeans and a t-shirt to add a fun pop of color. Leopard Mules | I didn’t want to miss out on these so I bought them during early access. These mules remind me of my absolute favorite ones I got last year that I literally wore out! I ordered a half size up and they are perfect-o! Ankle Jeans | Loved these the minute I put them on. I actually love this brand of denim so I knew they’d be great. The ankle length works out to be a regular length pair of jeans for me, I’m only 5’3 and that was fine with me. I love the fit, the wash is great, and there’s some distressed, relaxed hem, at the bottom. Very affordable, comfy pair of jeans! If those don’t restock, try this pair. Not distressed but a great medium/dark wash from a great brand. Only $42! Booties | I definitely stocked up in the shoe department this year. These booties caught my eye because of the beautiful color and the block heel. They were definitely a splurge but they are such great quality that it was worth the spend. I can already tell that I’ll be wearing these non-stop with jeans and leggings this fall/winter. They are really comfy. Tote Bag | Great basic tote with some fun detailing. This tote is nice and large which is great for mamas. I can fit basically everything I need and then some which I love. I swapped out my favorite crossbody in favor of this tote this week. With Millie potty training, I’ve been lugging around extra everything, so having a nice bag is more than helpful. It’s a great fall bag for an unbelievable price (under $50). Pajama Set | I felt like it was time to upgrade my pajamas from old t-shirts to matching sets. This set is so soft and cozy. The set is only $25 and comes in two colors. I grabbed the gray but I’m considering the lavender now, too. Cardigans – I don’t think I grabbed enough sweaters. I just got two pullover sweaters. I’d like to grab one or two cardigans. I love this circle cardigan for just $31 in either the rust or the mustard. I also tried this cardigan on in stores in navy and loved the fit but would have preferred the pink. I hope they restock the pink so I can snag it. I just bought this wallet with my Nordstrom notes! I’ve been needing a new one and this one is GREAT price! Comes in three colors and fully stocked. I’m also eying this sweater for under $30. As well as this one, the zip back detail is too cute! I’d love to hear what you’re looking for at the sale! 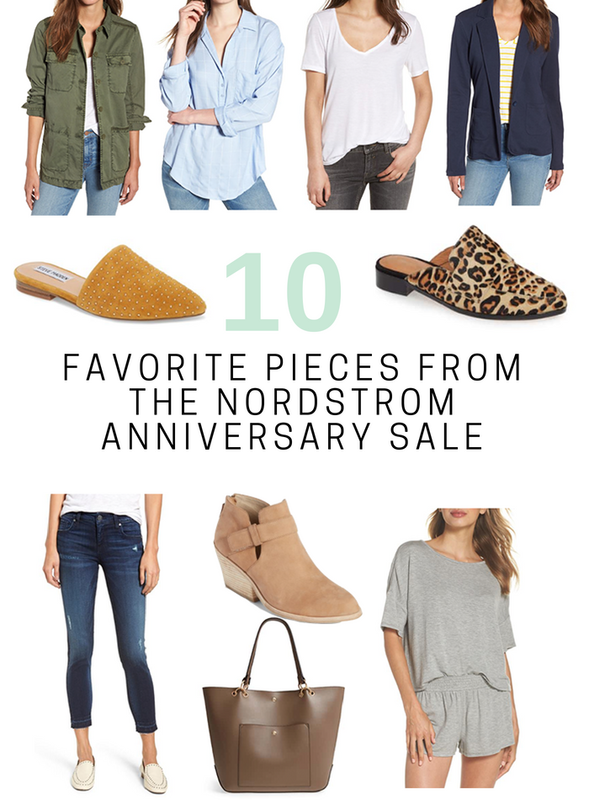 You can quickly check out the best of the Nordstrom Anniversary Sale by visiting my Nordstrom Recap page that breaks down the best of each category including Women’s, Men’s, Kids, Home, and Under $50!